If you’d like to sponsor one or more cockatiels, please choose your sponsorship frequency below then select the number of cockatiels. The Oasis Sanctuary is residence to more Cockatiels than any other species of parrot. Most reside in our large free-flight Small Bird Aviary. Because Cockatiels are naturally flock oriented parrots we seldom see disagreements in the flock. Even if there is a tiff, we have lots of room for the odd man out to choose another branch. Because of the number of Cockatiels and the variety in colors and feather patterns, the photo sent with a Cockatiel sponsorship is representative of the flock in general. 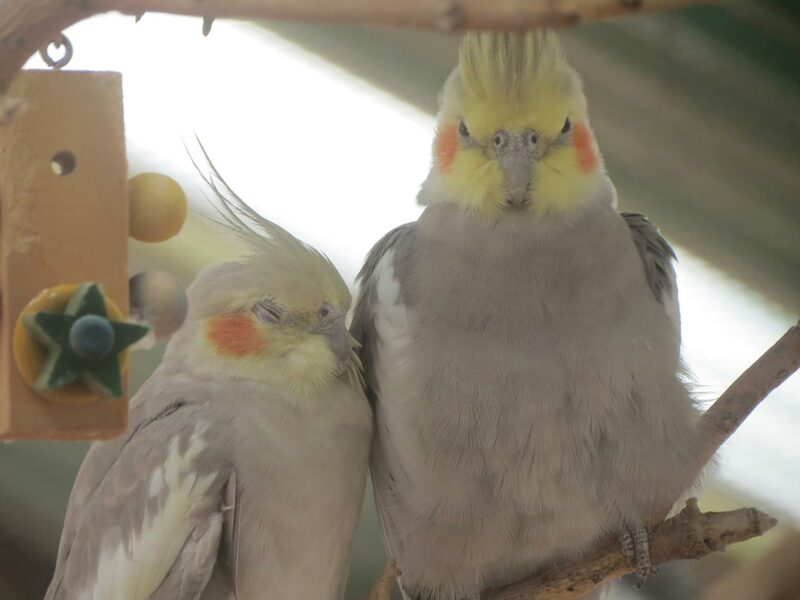 Any time we have visitors to The Oasis, the Small Bird Aviary turns out to be a favorite destination because so many Cockatiels make friendly visits to shoulders and heads. What is not to love about a Cockatiel? Cockatiels are great gift sponsorships for friends and family.